Renewable energy sources like wind and solar are muscling their way into the country's energy mix. But they're still pretty unpredictable, creating significant management challenges and big swings in electricity prices. Now, a small island off Maine's coast is the laboratory for a big solution: islanders and engineers are using artificial intelligence, complex algorithms and a bootstrapping attitude in an urgent effort to design what they are calling the next, next electricity grid. From the mailboat out to Isle au Haut, about six miles off the coast of Stonington, one can see red-lettered signs warning mariners of an underwater cable. The aging cable brings electricity to the island, and it could wear out at any moment. "You know if that cable failed, it'd be a disaster for the island,” says Steven Strong, one of a group of engineers, scientists and islanders who are trying to avert that disaster. Their solution is a flexible microgrid, an array of island-based energy generators and storage systems that would keep the lights on and houses warm when that cable fails. 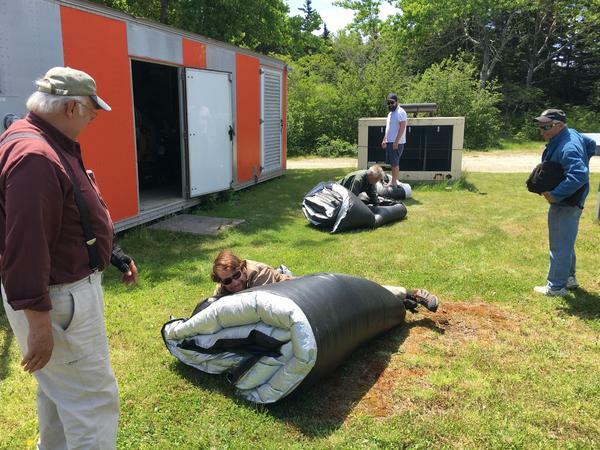 The group is trying to do it for less than the $1.7 million cost of a new cable. “The microgrid is less expensive, and they keep the money on the island when they're done," Strong says. Strong is lead engineer for an electricity system that will be anchored by a hillside acre of solar panels. The system will also include some pretty massive batteries, household electric heat pumps that can store excess energy in basement water tanks and, as a kind of safety net for it all, a diesel generator. On a visit to the shed housing that generator, scientist Kay Aikin playfully half-closes a door on the project collaborators. Aikin's Portland-based company, Introspective Systems, designs software for artificial intelligence networks that can manage complex systems — or, really, teach them to manage themselves. "It's like building an engineered ecosystem,” Aikin says. “This is my laboratory." The company has a $1 million grant from the U.S. Department of Energy to design an electricity ecosystem that is run by artificial intelligence. On Isle au Haut, AI computer chips will let solar panels, batteries, heat pumps and the lot decide for themselves when to make energy, when to take it, use it or store it, depending on what's most cost-effective. Company cofounder Caryl Johnson says the island's "smart" energy assets will compete and cooperate — sort of the way swamp-dwelling frogs and snakes do. Yet the sometimes warring impulses of frogs and snakes, taken together, help keep a swamp balanced, even in the face of complex, swiftly-changing conditions. "The decisions that are made by the entities in the swamp are all independent, but the result is a stable ecosystem,” she says. “And so that's what we are trying to achieve in terms of the systems we design, a computationally stable ecosystem." The microgrid on Isle au Haut will be an exemplar of an AI-controlled, computationally-stable ecosystem, the scientists say. 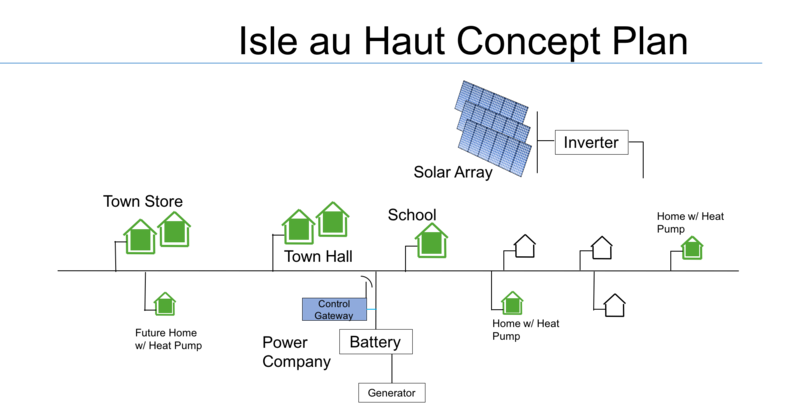 And it could be scaled -- by linking one microgrid to another, and another, then to the electrical network for a region, all the way up to the entire nation's grid. Instead of today’s centralized command and control system, the next, next grid would be de-centralized. It would be controlled, says Kay Aikin, from the grid's edges by the collective decisions of the electrical swamp’s frogs and snakes -- its AI-enabled devices. “And you can do the very fine control with thousands and tens of thousands and hundreds of thousands of devices without a super-computer,” Aikin says. That would more effectively respond to the multiplex of non-polluting energy sources that are proliferating around the country. And, she says, if any one section of the system suffered a catastrophe - maybe from a storm, maybe a cyber-attack - it could quickly be shut off from the rest. “It's more reliable, it's more robust, it's resilient, failures are isolated,” Aikin says. For the president of the island's electricity company, Jim Wilson, a sophisticated vision for a renewable energy future is all well and good. But the bottom line is really that the local experiment will protect islanders against the unaffordable cost of replacing an old underwater cable. Wilson says the collaborators hope to get this small model of what could eventually be a major change in the nation's energy systems up and running by New Year's Eve. Copyright 2019 Maine Public. To see more, visit Maine Public. The Public Utility Commission will postpose its decision on a proposed deal to sell the shuttered Vermont Yankee nuclear power plant in Vernon. 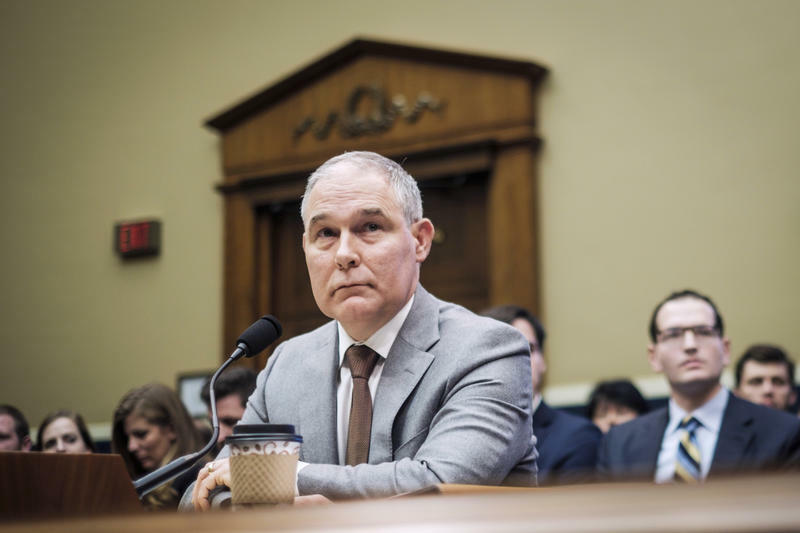 Scott Pruitt will no longer lead the Environmental Protection Agency, President Trump announced Thursday afternoon via Twitter. "I have accepted the resignation of Scott Pruitt," Trump tweeted. "Within the Agency Scott has done an outstanding job, and I will always be thankful to him for this," Trump also wrote. 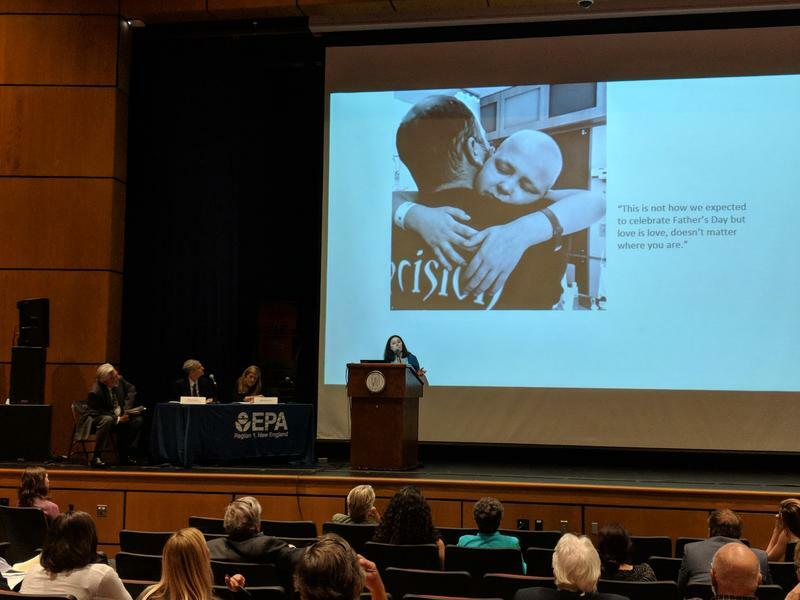 New Englanders had a chance to speak out this week about what they want to see in new Environmental Protection Agency rules for industrial chemicals in drinking water – but residents say the proof that they were heard will be in what the regulators do next.